If your teeth don’t fit as tightly as they used to in your gums, it is possible that you have periodontal (gum) disease. This is the leading cause of tooth loss in adults. Gum disease is difficult to see until it has already done some damage. 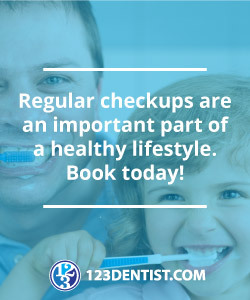 At that point it is often difficult to restore the health of your gums, particularly if you fail to seek assistance from a dentist. Stopping loose teeth from falling out of your mouth is important to your smile, your facial appearance, your ability to chew food, and your oral health. There are several steps you can take on your path to stopping loose teeth from falling out. If you need help stopping loose teeth from getting worse, you should visit your dental hygienist for a thorough cleaning. Your gums might hurt a bit as they become inflamed and reddened, but the benefits outweigh this temporary pain that you will feel. After getting your teeth professionally cleaned, your gums should become healthier. This will help in stopping loose teeth from getting worse, but you need to do more. Since your gums don’t fit tightly around your teeth right now, it is important that you begin rinsing your mouth out after eating. This will help to prevent food from becoming lodged in between your teeth and gums. Since food debris encourages plaque and bacteria from forming, which is counterproductive in stopping loose teeth, rinsing after eating can assist you in keeping the gums healthy and strong. If your gums and teeth are showing signs of loosening up, you might want to consider a few tips that can help you to avoid making this situation worse. If your teeth are already loose, stop eating foods that are hard and crunchy. You should also avoid chewing gum, because this can irritate inflamed gums. Stopping loose teeth is a task that takes some thought, so look at your habits and change the ones you can.